Students and parents/guardians can keep up to date on their attendance using McKeel Systems. The process is slightly different depending on whether you're the student or the parent/guardian. 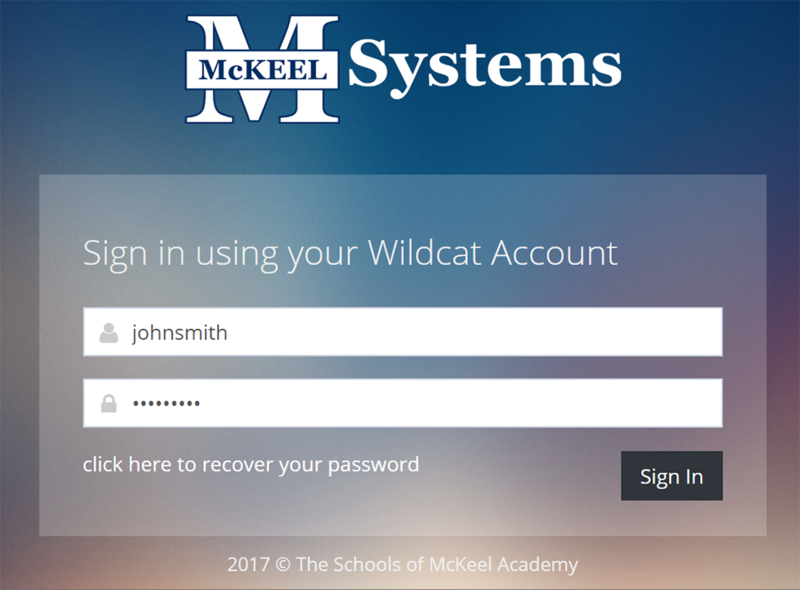 Sign into McKeel Systems using your Wildcat Account. Students are provided Wildcat Accounts by the school. Your username is your first and last names joined together, such as johnsmith. Your default password is your eight digit MMDDYYYY date of birth. Click on Attendance under the Student Portal section on the left side of the page. The page will display your schedule along with your attendance for the current week. You may use the blue arrows or the "Choose Week" textbox to browse to another week. Sign into McKeel Systems using your Wildcat Account. Parent accounts are given by the student's primary contact during the online Student Information Forms process at the start of the year. Your student(s) will be listed in the My Students area on the left side of the page. Click the student's name you want to see grades for to view McKeel Systems as them. The page will display your student's schedule along with their attendance for the current week. You may use the blue arrows or the "Choose Week" textbox to browse to another week. To stop viewing McKeel Systems as your student or to view McKeel Systems as another student, click the Leave button in the red bar at the top left of the page. McKeel Online Office is a service The Schools of McKeel Academy offers to our parents/guardians and students to create an easier and more convenient method for viewing, completing, and updating student information.